Home > Real Estate > In this sluggish real estate market are big names like Godrej Properties actually reliable? In this sluggish real estate market are big names like Godrej Properties actually reliable? One of the prime pointers in your checklist when you are hunting for your dream home is the reliability and the credibility of the builder. The cases of defaulting builders who either do not deliver the possession on time or do not adhere to the construction quality as promised, is not unfamiliar to us. Property watchers would have witnessed and some of us would have even suffered the extremecases of cheat and deception where the land was declared illegal by the government. Under such scenario, it becomes critical for us to check the credibility and past record of the builder we are going to invest in. 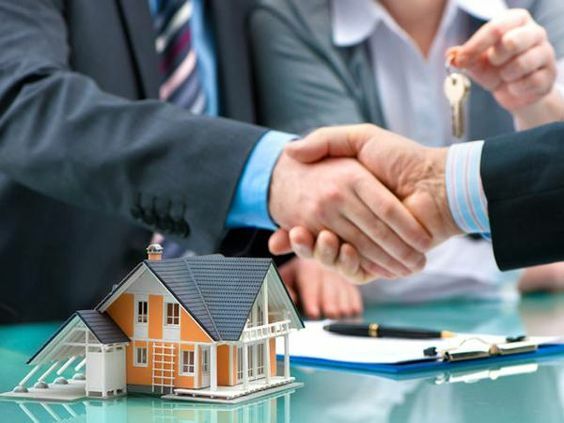 However, there are some names in real estate market where there arises not much need to ponder over the matter of credibility and we can blindly and confidently invest the savings of our life to get an excellent deliverable, the kind of home which one would have always dreamt of. One such name is Godrej properties. Since the inception of Godrej properties in the year 1990, the company has been growing leaps and bounds and has been successful in gaining customer satisfaction and trust due to the excellence, innovativeness, commitment, and brilliant construction quality. Godrej properties is based in Mumbai and is the first real estate company in India to get an ISO 9000 certification. Godrej properties has come up with residential, commercial and township projects in 12 different cities all across the nation. They have already completed many projects and have been able to adhere to the quality and timeline as promised. Godrej properties always gets into agreement with the local giants to deliver a world class infrastructure and brilliant quality work. Due to their extraordinary imagination and top class use of innovative and latest technology, they have been able to add value to their stakeholders. Godrej properties has also earned its name for believing and executing an environment friendly and green building concepts. A philanthropic gesture of the company that deserves a mention is that 25% of the shares of Godrej & Boyce go in a trust responsible for environment, healthcare and education. Out of more than 150 awards and accolades, received by Godrej properties, some to be named are “Most Reliable Builder 2014”, “Best Upcoming Real-estate Project in India in 2006”, CNBC AwaazCrisilCredai Award 2009 for the “Best Residential Property in the Western Region”. Godrej properties have been ranked among the Top 10 construction companies in India by CW in 2007, ranked 1st in the Construction & Real Estate category in India’s Best Companies to Work For 2009, ranked as one of India’s Top 10 Builders by CW in 2009, etc. Also, as per a study by BlueBytesin association with TRA Research, India’s Most Reputed Real Estate brands, Godrej Properties got a second rank after Gurgaon based DLF. Lodha was ranked the third. Over the next few years, Godrej properties plans to launch many more new projects in 12 cities. Godrej properties has not been just labelled as a big name in real estate because of their success in FMCG, but they have actually earned it by providing the best quality and customer delight. Not only they believe in the philosophy of excellence but they have also made their home quite affordable for all.